No one likes moldy, funky, nasty, smelly grout in their home's shower. Because grout works like a grunge magnet, attracting moisture and subsequent mold, soap residue, grime, lime deposits and hard water stains, the use of a tile sealer is necessary. Today's hard water causes grout to discolor. The most important positive factor in determining whether you should seal the grout in a shower comes down to moisture. Water in a shower brings along with it minerals, salts, chlorine and bath products associated with the use of a shower. Sealing grout in a shower locks out the water and moisture that carries all of these products. As with all cement products, grout that is in a heavily-used area -- such as a shower -- breaks down after years of rigorous use. No area aside from the kitchen in your home is used more than your shower; sealing grout in a shower adds years of longevity to this key area of the typical home. Manufacturers recommend that 48 hours must pass before applying sealer to new grout; grout that is older must just be dry to apply sealant. Application simply involves using a sponge, brush, paint pad cotton towel or sprayer to apply the sealer to the grout. An adequate tile sealant applied periodically reduces cleaning maintenance. Sealant companies suggest sealing the grout in your shower yearly or biyearly to retain the seal. They also warn against the use of harsh chemicals and cleaners with grout. 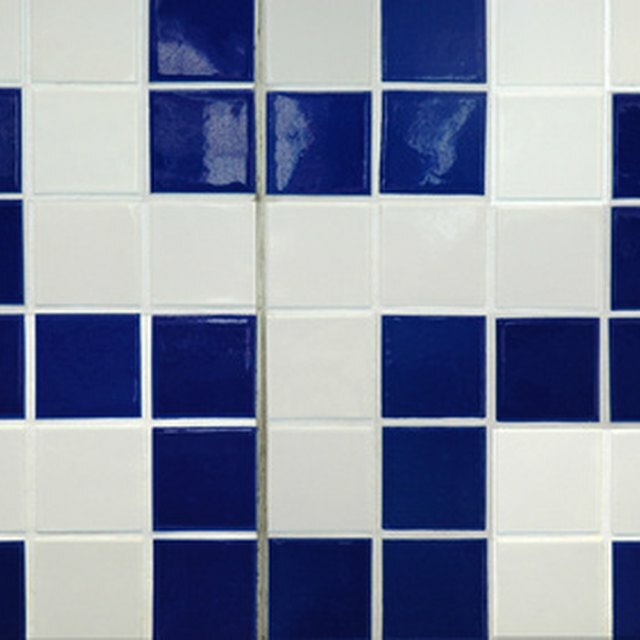 Most tile product companies provide appropriate grout-cleaning products that will not harm it. Residing in San Diego, Calif., Tim Daniel is a professional writer specializing in politics. His work has appeared at both the Daily Caller and Pajamas Media. With more than 20 years of experience in the field of construction, Daniel also specializes in writing about tile, stone and construction management. He is pursuing a bachelor's degree in communications. Does Tape Work Better Than Caulking for the Shower?